How do you rate a handicapper? The fact is most handicappers will send out updates only when they have a great run going... but how do you rank a handicapper over the long run? Before I get to that I want you to look at something. If you look at the results you will notice that we had one week that wasn't great... in fact Monday to Saturday it was brutal - check it out April 14-19th. I am not ashamed to admit it, we had a bad week... it happens. But the key is bankroll management. After we cashed our two series plays with Montreal Canadiens and Chicago Blackhawks we ended up only losing about 1.7 units on the week... not bad after the way that week started out. The key was bankroll management. So this brings me to my next point, how do you rate a handicapper? Handicapper 3 who goes 550-450 (55%) on 1000 plays? If you are rating a handicapper who often bets underdogs like I do you have to pay attention to units won, units wagered, wager size and number of plays. I will explain further in section 2 below. If you are ranking handicapper who bet against the spread you can use math – specifically the standard deviation and z-score. So what is more unexpected? Flipping a coin and landing on tails 8 out of 10 times or 60 out of 100 or 550 out of 1000? The first thing we need to figure out is the expected result, I will use 3 examples to illustrate this. Next we need to determine the standard deviation how far off the expected result can be explained by random events. So that’s great now what? Well the next step is to determine the z-score. The z-score is a description of how unlikely an event is with handicappers. 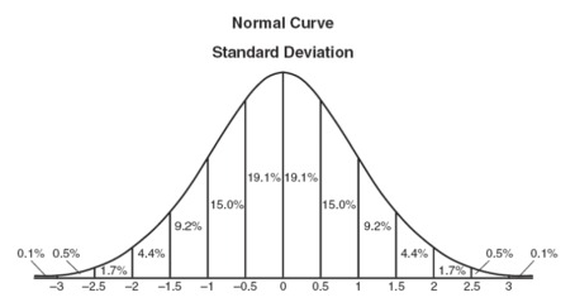 The key metrics to note are the normal distribution. A z-score of 3 is extremely unlikely. Puts a handicapper in the top 1% of all handicappers see the below image to review the normal distribution with z-score across the bottom. As a rule of thumb when selecting a handicapper to follow you should consider both the number of plays they provide in a sample and the number of units wagered and units won - see below for a further description of how to factor in different size unit plays. So how do you rank a handicapper who bets underdog and plus money plays and also varies unit bets? Well you need to first make sure you are comparing apples to apples. You must ensure that the units wagered are within a range – following progressive betting strategies are not considered because they are not real handicapping strategies. A reasonable range is 1-4 units or 1-5 units per play at most. I am going to use my results from April 2014 to demonstrate how to figure out the z-score for a handicapper who bets underdogs, plus money plays and varies unit strategy. The first think we should consider is the expected results – now that we are incorporating actual bets with the Juice we need to take that into account. At -105 lines the average bettor will lose money at approximately 5% per 100 units wagered. Betting money lines the spread is often larger as the house lines get further apart. If you are betting a money line at +200 the opposite payout is likely -230 or more. We will use -110 for this example to be conservative as most of my money line bets don’t exceed a spread of -120. BUT we also have to take into account the average bet size and the odds, before we compare this number to the results observed. These calculations are compared to the average population. You may want to factor in a winning % of 5% to compare these results against top handicappers. The average winning handicapper wins just a small % above 52.4% of their bets to cover the juice. A very good handicapper can return about 5% on their money wagered. The Z-Score drops considerably but still rates in the top 0.5% of the population of winning professional handicappers. This money we returned 21.7% on our money wagered these results are in the top 10th of the top 10th of 1% of the population. If you stick to a basic unit strategy and follow the wagers as posted you will become rich very very quickly with results like this… note these results 100% real and were sent to clients – however past results do not necessarily reflect future performance. Most handicappers are scared of this number because it highlights how average or actually bad they really are. 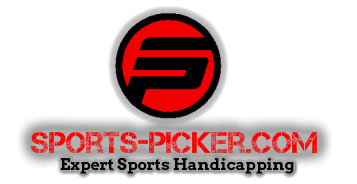 Winning handicappers are rare, and most handicappers make it virtually impossible to calculate this as they don’t provide complete results or only show win%. Slippage – you can expect a slippage of approximately 5-10% when following a good handicappers bets. This is impossible to avoid. This is due to the sports books rebalancing their lines. If a good handicapper notices a line, approximately 5-10% of the time the line will have moved by the time you receive the email or text message. This can be frustrating but is generally the sign of a good handicapper. If a handicapper is consistently sending out stale lines you should be careful. Shading lines is the oldest trick in the book for scamdicappers. One way to check this is to look at the time you receive the email and compare the line posted to the lines by time on a service like sports insights. Sports Insights shows you the times when the lines in Vegas move. This is generally a pretty reliable measuring stick.